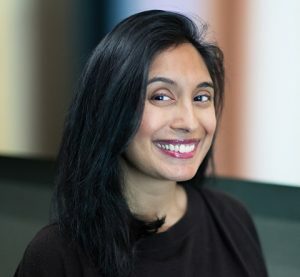 Chhandasi Pandya Patel is a program officer for the Human Rights program at the Heising-Simons Foundation, where she focuses on immigrants’ rights grantmaking, and on the criminalization of immigrants. She previously worked on immigrant integration policy and demography at the Migration Policy Institute in Washington DC. Earlier in her career, she served as a program evaluator for the U.S. Government Accountability Office, and as a writer and editor for The Wall Street Journal Online. She earned a master’s degree in international affairs from Columbia University and a bachelor’s degree in journalism from the University of Maryland, College Park.